I love this yarn! 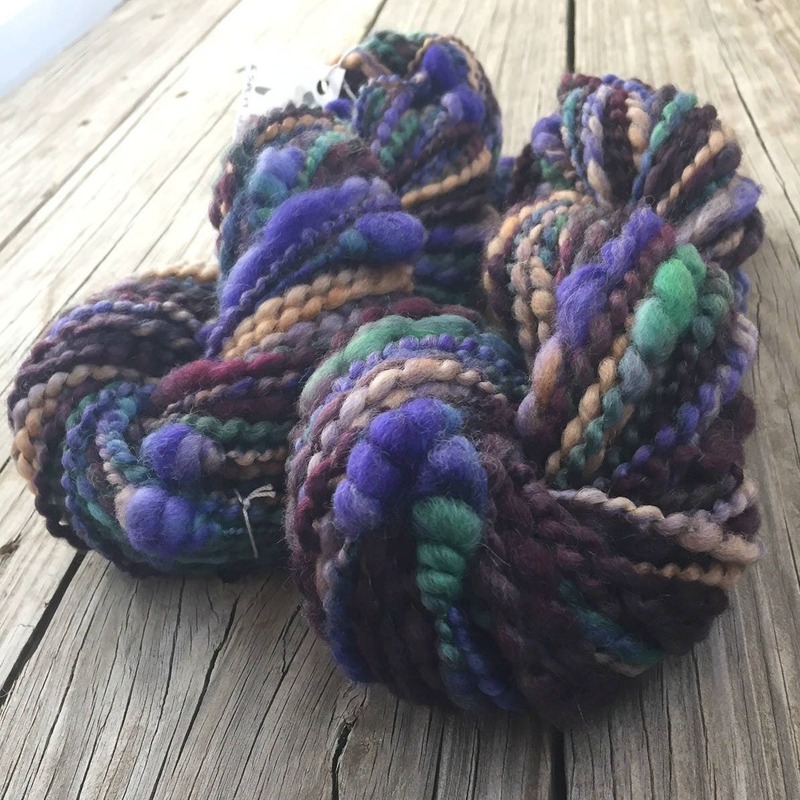 I love spinning it and I love love LOVE knitting with such soft squooshy coils art yarn! 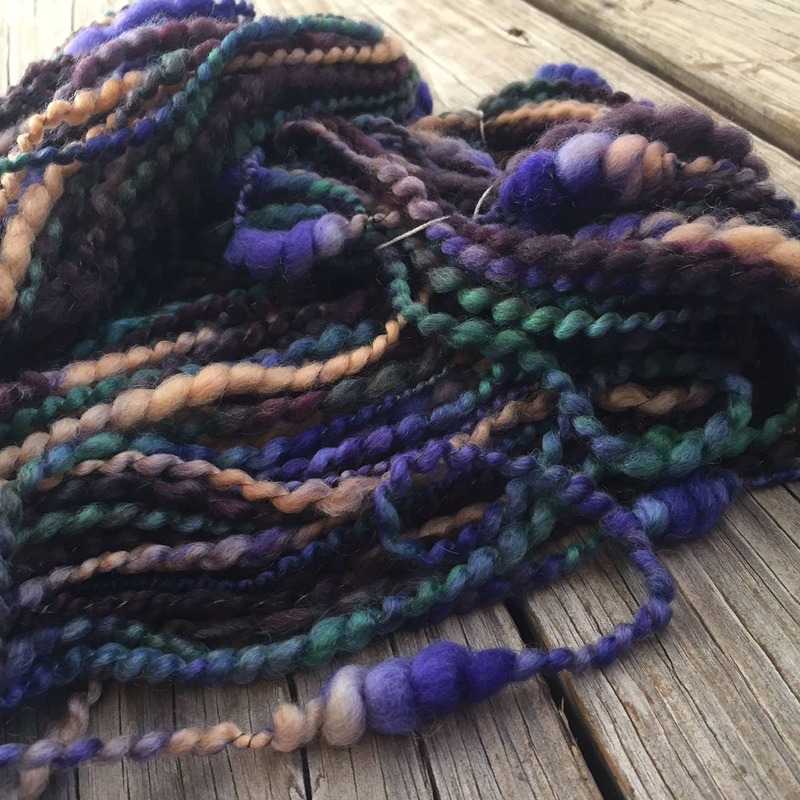 Soft polwarth wool was dyed in colors of blues, purples, burgandies, golds, browns, forest greens, to make a fantastic yarn. 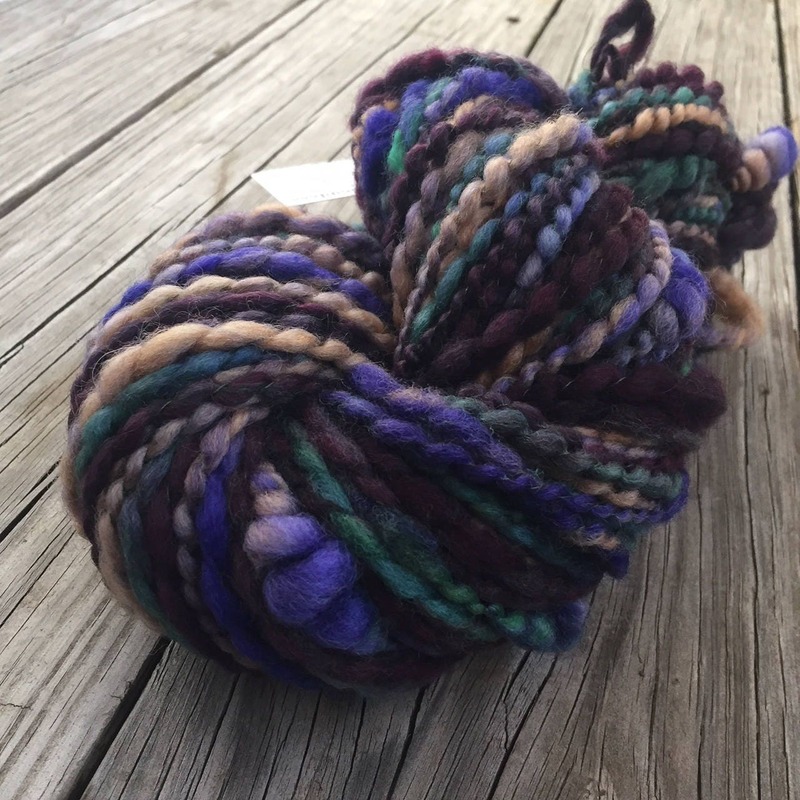 This yarn was hand spun by me (Christine aka Treasure Goddess) from polwarth wool fiber hand dyed by Hello Yarn, it's of an exceptional quality! The soft wool is coiled onto a strong 40 weight shimmery black nylon thread. This yarn is spiral plied (also called thread plied) to create thick & thin texture between the coils. Each time you get to the dark blue/purple color, that's where the coils are! It will knit or crochet up really gorgeous! 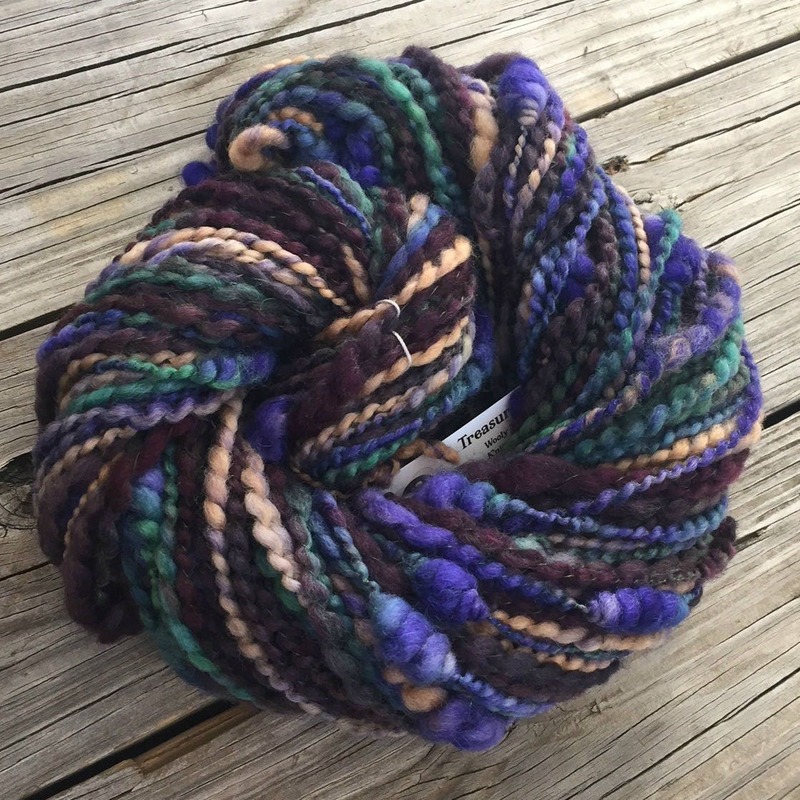 This yarn was SO BIG that it couldn't all fit onto my one jumbo sized flyer on my spinning wheel. You'll see a picture of the two skeins shown side by side and one with both wound together. 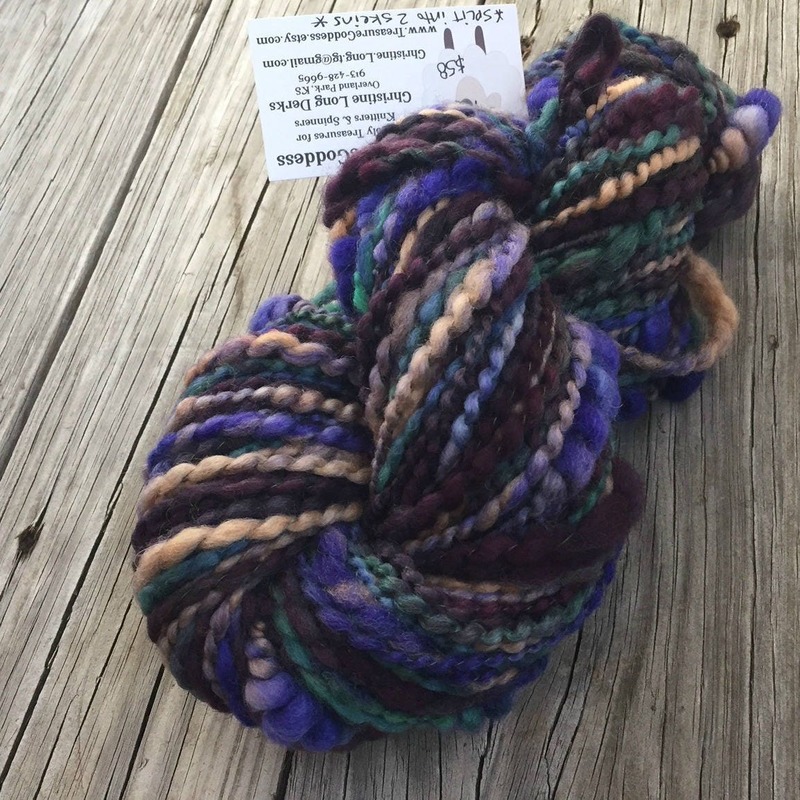 This listing is for the whole amount, so both skeins included, total of 116 yards. FREE PATTERN INCLUDED for knitting a hat using this yarn! 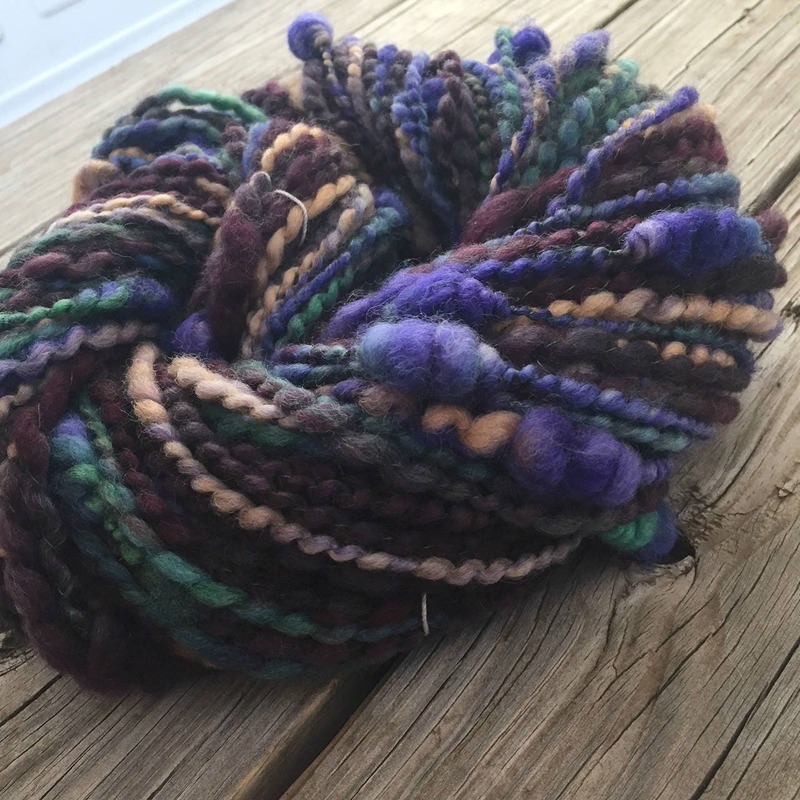 Please let me know if you'd like yarn wound into a center pull ball. Yarn created in a smoke free home. Thanks so much and happy creating!